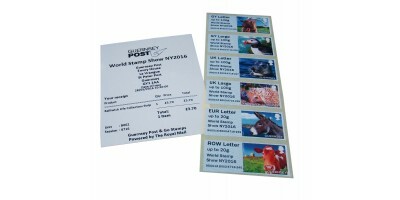 Guernsey Post is delighted offer our new Guernsey Post and Go issue featuring the Bailiwick Life.The Guernsey Post & Go ‘B Series’ stamps carry unique identification numbers and no overprint ..
Guernsey Post is delighted to offer the B series of Guernsey Post and Go World Stamp Show New York 2016 Overprint featuring the Bailiwick Life. 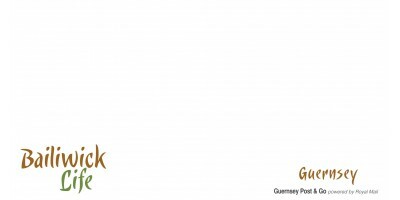 The Guernsey Post and Go stamps are available in six tar..
Our latest issue of Guernsey Post & Go stamps includes six fantastic images of animals, all of which are associated with the Bailiwick of Guernsey. 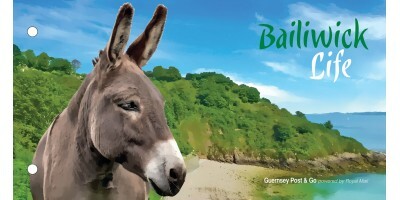 The first of the stamps features a donkey, partly in recognition of the fact that people of Guernsey are sometimes referred to as donkeys! 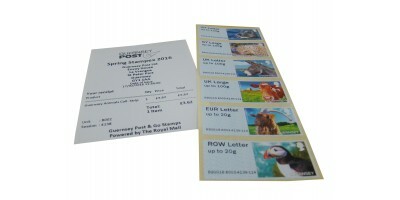 The inclusion of the donkey in this set is also to pay homage to the original Guernsey golden donkey, which is now extinct. 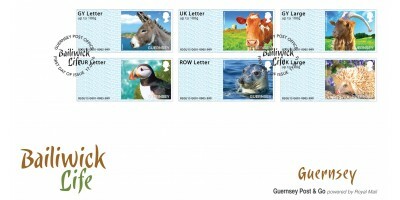 Other animals with island connections pictured on the stamps include the Guernsey golden goat, the iconic Guernsey cow, the Atlantic grey seal, the puffin and the unusual blonde hedgehog.